EVONETIX LTD (‘Evonetix’), the Cambridge-based company pioneering an innovative approach to scalable and high-fidelity gene synthesis, and LioniX International, a leading global provider of customised microsystem solutions in scalable production volumes, will collaborate to scale up production of prototype microelectromechanical systems (MEMs) for DNA synthesis. LioniX International will use common silicon processing techniques and materials to manufacture a novel thermally addressable silicon array, which will enable Evonetix to control de novo DNA synthesis using its unique synergistic thermal control chemistry to deliver high-throughput assembly of high-fidelity gene-length DNA at scale. 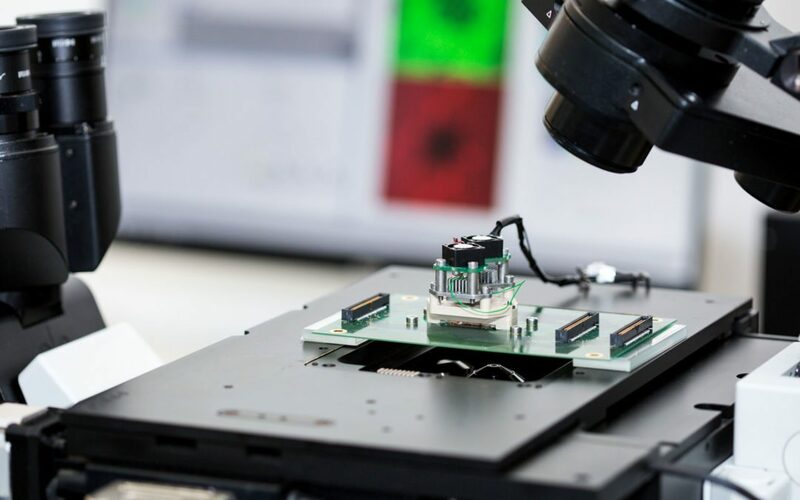 LioniX International will use semiconductor microfabrication techniques to manufacture the thermally addressable silicon array, capable of independent thermal control of multiple reaction sites. Evonetix will use this array to control a synergistic synthesis chemistry, optimised to have reaction rates that are highly dependent on temperature, at each of the 10,000 miniaturised reaction sites, allowing for massive parallelism in the DNA synthesis process and therefore a very high throughput. Bi-directional heat control will ensure a continuous flow of heat within the liquid and deliver the steep temperature gradients that localise the virtual wells. This will be provided via the use of resistive heaters that pump heat into the liquid and a cooled substrate that removes heat through a thermal insulator with controlled thermal resistance.